When you're dressing as a devil, you might get caught up in the details. They say, after all, that the devil is always in the details. And as costume enthusiasts, we think that's pretty important. But there are aspects of the king of the underworld's wardrobe that are more important than others. For instance, while a nice red suit is great, painting your whole face red isn't always a "must-do". It's all about giving your costume a dangerous edge. There's the pointed tail, the shining pitchfork, and the crowning glory... a sweet pair of horns! That'll bring you from zero to hellish hero! Want to stand out as the prince of lost souls this Halloween season? 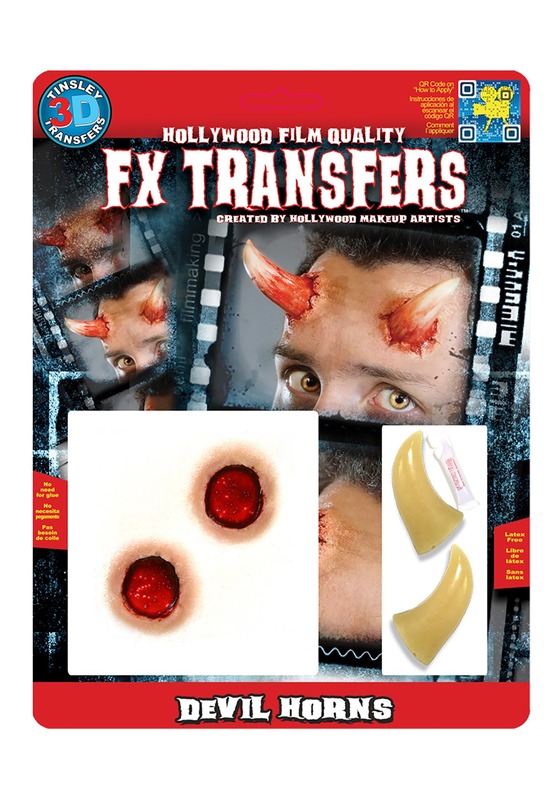 Take your look beyond cheap, sparkly horns on a headband with this high-quality FX kit. Go all the way using Hollywood techniques to adhere horns to your very own face! Are you ready to head out into the world with plenty of power and princely style? 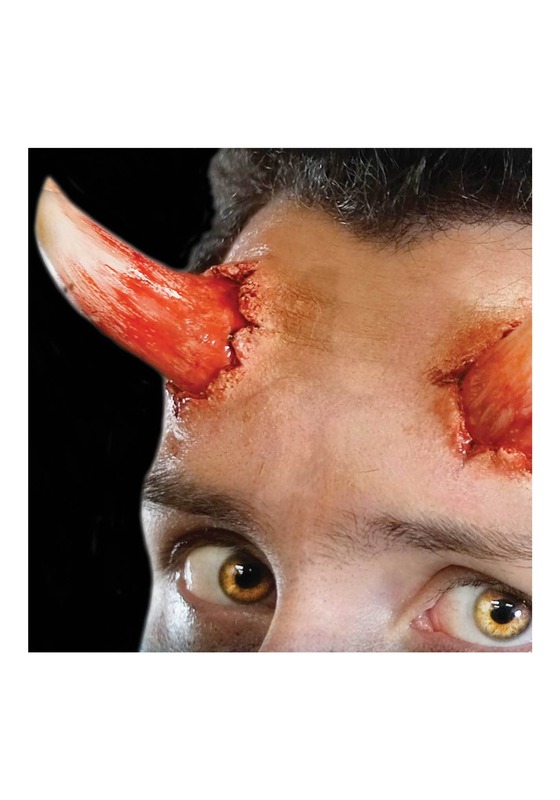 Heading out for Halloween while wearing these horns will make a shocking impact. Wear them with one of our devil costumes and your look is sure to be selfie-gold! A devil like you doesn't forget the details.